This all white necklace was designed for a friend's wedding. However, it would look stunning in other colors! 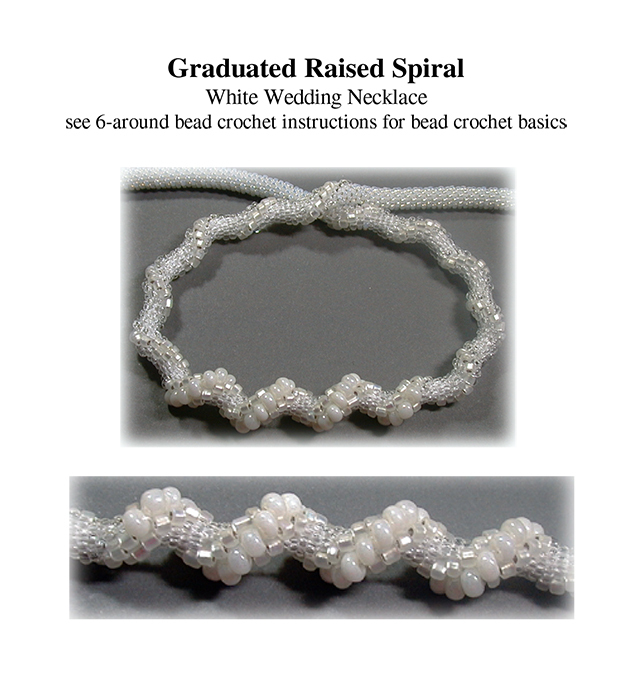 It illustrates how to string a graduated, raised spiral effect for bead crochet. There are NO detailed instructions for adding the necklace clasp, just suggestions.